Have You Switched To Kotlin Yet? The beauty of being a technology entrepreneur is that you always get bounty of opportunities to keep yourself upgraded and get paid for the same. You never go out of fashion. With more than 2 billion active android devices and more than 80 % market share in mobile OS, the android has become the most preferred development platform for many mobility startups . For many software engineers android development has become the first career choice. Android has come a long way since its inception in 2007, the first commercial device was launched in 2008 as HTC Dream since than the operating system has gone through multiple major releases, with the current version being 8.0 “Oreo”, released in August 2017. 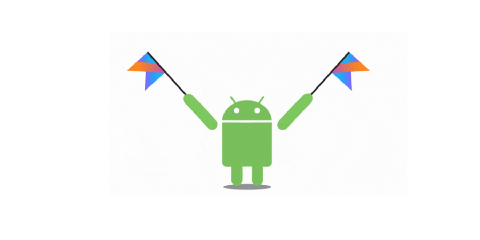 One of the latest announcement made by google at their official event during the I/O keynote, was that they will make Kotlin an officially supporte language for Android development. Their latest Android studio version 3.0 Preview has started to ship with the latest support environment for the developer. Kotlin : What & Why ? Kotlin is an Android-compatible language that is concise, expressive, and designed to be type- and null-safe, java developer this enhanced libraries of kotlin will make your life more easy you can code more in less time, so there is nothing to worry as such, you can easily switch from classic android development mode to this advanced java based Kotlin environment which will give your more advanced tools. It has wonderful safety features in terms of null ability and immutability, which makes android app more robust , safe and optimum in working, this feature has made google to make Kotlin their preferred official language for their sdk. Apart from the above said weakness lets understand the pros of kotlin which can encourage you to switch if not yet thought. Why you should switch Now? Kotlin programming syntaxes will not look like a ghost language , if you love oops you will find kotlin an easy fit. Freedom from the big millennial problem NPE(Null Pointer Exception) & also Kotlin is Null-Safe. Great Support system as it is an Open source based development platform. It’s new and fresh and also google has adopted it officially. You have very little to worry about continuing support, because JetBrains which specialize in creating some of the most used IDEs in the world is the brain behind it. Android Studio is built upon IntelliJ IDEA, an IDE built by JetBrains — the same company that created the Kotlin language. The JetBrains team has been working for years to make sure Kotlin works great with IntelliJ IDEA. Starting with Android Studio 3.0, tooling support for Kotlin is bundled directly into Android Studio. To make more informed decision go ahead and try it yourself I can bet, you will start loving it more, the more you use it. The ease of coding and robust coding structure saves lot of your valuable time which you can spend learning more or in having awesome time with your loved ones. It is a fresh language and future too, so if want to have an excellent career Kotlin is a weapon you must add in your kitty. So what are you waiting for download new android studio 3.0 add the Kotlin plugin and get your hands dirty, have a feel and share your experience here with me, I would love to hear the same.